Natalie is a physiotherapist with experience of working within both the NHS and private healthcare settings. Having largely worked within inpatient hospital settings, Natalie has extensive knowledge, skills and expertise in providing physical rehabilitation to patients with multiple needs. She has experience of working closely with other members of the patients’ multi-disciplinary clinical team and ensures the patient patients’ goals and needs are worked towards and considered when creating treatment plans. Natalie has often seen the psychological trauma and anxieties patients and their families are faced with when they are going through a traumatic medical and subsequent rehabilitation experience. For this reason, Natalie sees communication as an integral part of her treatment, listening to the patients' wants, needs and concerns, providing appropriate advice, and education, while signposting the patient and their families in the right direction when outside of her scope of practice. 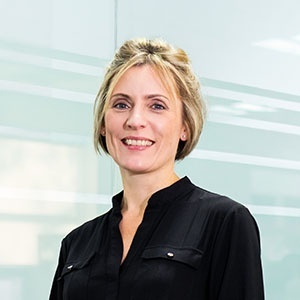 As well as her clinical work, in recent years Natalie has acted as a Case Manager for clients' who have experienced a traumatic event leading to significant injuries, including brain injuries, spinal cord injury and multiple fractures. Being proactive in addressing issues and identifying potential solutions. Communicating appropriately with clients, client’s family members and members of the health and social care multi-disciplinary team, answering questions promptly, keeping all parties updated on progress and changes with the aim of optimising outcome. Very approachable, aiming to make people feel at ease in her company. Concentrating on core stability for improving balance, and mobility rehabilitation of complex cases. Providing support to clients and their families during the transition from hospital to discharge. Assessing and identifying clients’ health, equipment and social care requirements, and making clinically justified recommendations to funding parties based on her findings. Psychological well-being and support for clients and their families following traumatic events. Activity for the benefit of health and psychological wellbeing. Salsa dancing and spending time with family and friends.